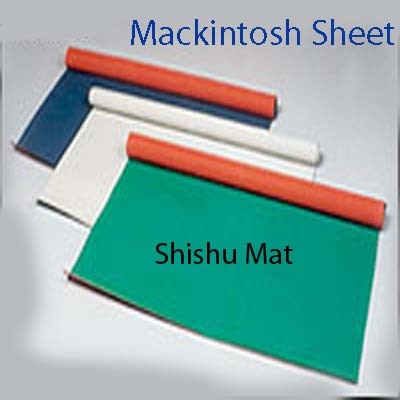 Mackintosh sheet, baby sheet, shishu mat, (Hospital Sheeting) are made from best quality soft rubber. 10 meter Mackintosh sheet - The sheet has high breaking and tearing strength. Colour - red/blue , green/red. Durable - best for hospitals , nursing homes & even can be used at home.